A recent study found regular, half-hour sessions of aerobic activity before school helped young children with symptoms of attention deficit hyperactivity disorder become more attentive and less moody. 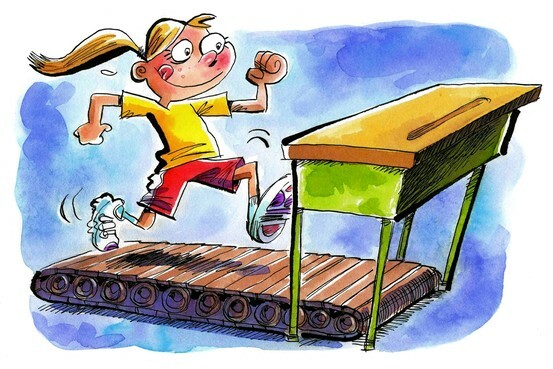 Other research found a single bout of exercise improved students’ attention and academic skills. It isn’t clear whether physical exercise offers particular benefits to children with symptoms of ADHD, since students with typical development also showed improvements after the sessions. Children with the condition have greater-than-normal difficulty paying attention and may exhibit impulsive behavior, among other symptoms. Some doctors who specialize in treating children diagnosed with ADHD say they often incorporate exercise in the therapy. And some teachers have begun getting students up from their desks for short bursts of physical activity, finding it helps them pay attention to their studies. Growing numbers of children in the U.S. have been diagnosed with ADHD. The Centers for Disease Control and Prevention calculated 11% of children had an ADHD diagnosis in 2011, the latest data available. That was up from 7.8% in 2003. Among all children in the U.S., 6.1% in 2011 were taking an ADHD medication, such as Adderall and Ritalin, up from 4.8% in 2007. In a study published online Tuesday in the Journal of Abnormal Child Psychology, students in kindergarten through second grade did 31 minutes of aerobic physical activity before the start of school for 12 weeks. Another group of students engaged in a sedentary, classroom-based activity. The study, conducted at schools in Vermont and Indiana, involved 202 students. The participants included children with typical development and others who were classified as at-risk for developing ADHD because of elevated symptoms of the disorder based on parent and teacher assessments. The study found children in the exercise groups showed greater improvements in areas such as attention and mood than did those in the sedentary groups. The benefits of the exercise applied similarly to typically developing children as well as children with ADHD symptoms. “This is the first large-scale demonstration of improvements in ADHD symptoms from aerobic physical activity using a randomized controlled trial methodology,” said Betsy Hoza, lead author of the study and a professor of psychological science at the University of Vermont. “This shows promise as a new avenue of treatment for ADHD but more work needs to be done before we know for sure if it really is,” she said. Dr. Hoza described the benefits as “moderate” but said the results were comparable with what would be expected from an ADHD behavioral intervention with a trained professional. Many schools have cut back on the amount of time devoted to recess and physical education because of increasing curriculum demands. Instead, some schools have implemented programs to encourage exercise among students either before or after school, or in shorts periods of activity throughout the day. Ms. Fritz, the fourth-grade teacher, uses an online program called GoNoodle that leads students in what it calls “brain breaks.” She said she puts it on three or four times a day between study periods. A two-minute program might lead the children in forming letters with their bodies, and a 10-minute session might run through a Zumba dance routine. GoNoodle, a Nashville, Tenn., startup, launched the program last year. It says the product, offered in both free and premium versions, is currently being used by 130,000 elementary schoolteachers. Another classroom program, ABC for Fitness, helps teachers use short bursts of activity of three to 10 minutes to accumulate 30 minutes a day. Activities include jumping in place and doing squats. The program was developed by David Katz, co-founder of the Yale University Prevention Research Center, and is offered free to school districts through Dr. Katz’s nonprofit, the Turn the Tide Foundation. ABC for Fitness was evaluated in a 2010 report published in the journal Preventing Chronic Disease. The study, which took place in Missouri, compared three elementary schools using the program with two other schools not using it. Among the findings: Schools that adopted the exercise program for most of the academic year had a 33% decline in ADHD medications used by its students. That compared with a smaller, 7% decline in medication use in the schools not using the program. A similar study done with a larger sample size is currently under review, said Dr. Katz, who headed up the research teams on both studies. Researchers at the University of Illinois at Urbana-Champaign examined the effects on attention and cognition from a single bout of activity. Forty children, age 8 to 10 years, spent 20 minutes either reading or exercising on a treadmill. After the tasks, the researchers measured the children’s attention and reading and math skills using computerized tests. They also measured electrical activity in the children’s brains. After the tasks, test scores improved more for children who exercised than for those who were reading. Within the exercise group, children with ADHD symptoms scored better than the other children on one particular test that measured self-correction. “Just 20 minutes of exercise of moderate intensity improved these core abilities to allocate attention and improved scholastic performance,” said Matthew Pontifex, lead author of the study and now an assistant professor of kinesiology at Michigan State University. The study was published in 2013 in the Journal of Pediatrics. John Ratey, a clinical associate professor of psychiatry at Harvard Medical School and author of several books on ADHD, says he generally includes exercise in treatment plans. He recommends morning exercise for children, even something as little as running around or jumping rope. He said exercise can help reduce the medication dosage a patient is taking, or perhaps replace it altogether. Dr. Ratey is a consultant to Reebok’s BOKS program, which leads 45-minute vigorous-exercise sessions three to five times a week at about 1,000 elementary schools across the country. “It’s for kids in general but it has a big effect for kids with ADHD,” he said. Impulsivity. Because ADHD kids often act before thinking, they’re quick to operate on instinct rather than employ strategies and rules that are part of the sport. They also may have difficulty waiting their turn and standing in line, especially during practice. As a general rule, children with ADHD do better when they get plenty of individual attention from coaches. That’s why they’re more likely to succeed with individual sports such as swimming and diving, wrestling, martial arts, and tennis – or even more rarified endeavors such as fencing and horseback riding. One group of activities that Quinn promotes for nearly all ADHD kids, though, is martial arts such as taekwondo. “Martial arts are all about control. You learn to control your body. The movements are smooth. There is an element of meditation (internal self control) in taekwondo.” In addition, she says, teachers instruct rather than coach; when the child is shown step by step how to do something, there’s little opportunity for distraction. A lasting benefit of martial arts comes from its use of rituals such as bowing to the instructor, Quinn believes. 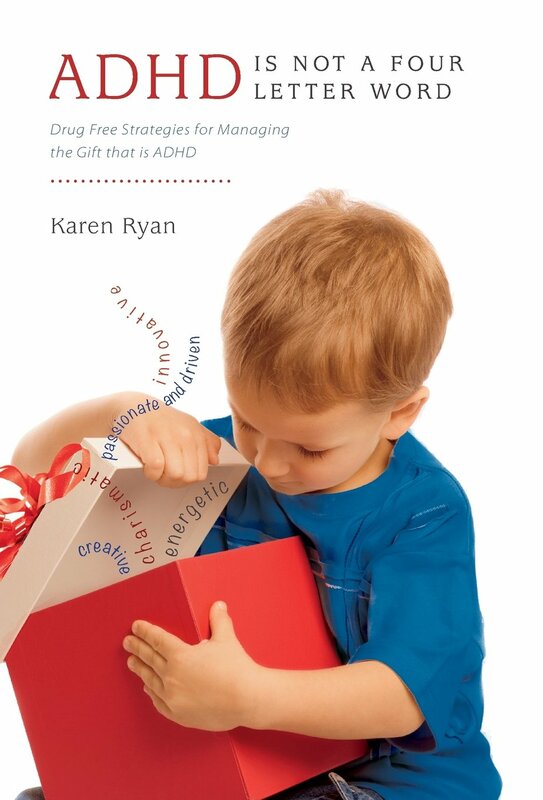 “Rituals are good for ADHD kids because they make behavior automatic,” she says. “For most of us, daily actions such as remembering to take your medicine are automatic. But without rituals such as ‘every time I brush my teeth I take my medicine,’ people with ADHD don’t remember.” Martial arts rituals can help teach kids with ADHD to accept, develop and use rituals in other areas of their lives. But whether they choose to pursue team or individual sports, an understanding professional coach or gym teacher who makes adjustments and modifications for ADHD kids can make or break a sports experience for your child. — Changing drill patterns frequently to keep the child from becoming bored or desensitized. Even individual sports may require modifications. Mauro Hamza, a fencing coach in Houston, Texas, allows ADHD children frequent breaks in routine. The fencing club rents space from a rec center, which enables children to break for checkers, TV, snacks, or even an occasional ping pong game during the two hour fencing club practice. Finally, keep in mind that ADHD children usually are about a third younger emotionally and socially than they are chronologically, which explains a lot of their troubled interactions with peers. If you can think of your eleven-year-old child as really being eight, it makes it easier to accept and understand his or her behavior. For children with ADHD, autism and other neurobehavioral issues (such as Tourette’s and dyslexia), it is crucial that parents take advantage of the summer break to help their kids continue to build upon the skills they developed during the school year. According to the Centers for Disease Control and Prevention (CDC), 11 percent of school-age children have received a medical diagnosis of ADHD and one in every 50 kids has an autism spectrum disorder. Instead of staying indoors, the warmer months provide families with the opportunity to do outdoor physical activities that are simultaneously skill-building and enjoyable. To help children build skills without feeling like they are doing work, the following are some examples of outdoor activities we recommend to parents in our Brain Balance Achievement Centers. Summertime is a great opportunity for families to work together in building something, such as a tree house. Working on physical projects is great for children with behavioral and learning disabilities because it helps develop cooperation and social engagement. Painting and playing with clay is great because it strengthens the abstract element of the right brain that needs developing. In a group setting, have the kids create something original, whether it be a song, a rap, a dance or a story. Work together and build off of one another’s ideas. Children with ADHD are left brain heavy, which means they naturally rely on analytics and numbers rather than descriptors and abstract ideas. This will help broaden their imaginative scope. If you visit the local pool, chances are you might hear kids chanting “Marco” and “Polo.” This game is perfect for children with behavioral and learning disabilities because it strengthens both spatial awareness and auditory skills while interacting with others. Other beneficial water activities include playing on a slip ‘n slide, waterskiing and surfing. Encourage children with behavioral and learning issues to create a hopscotch with the chalk. This sort of jumping, cardiovascular activity is great for building muscle tone, which most kids with ADHD lack, and is also typically social. Children can get their creative juices flowing by singing an original song together along the rhythm of the hops. “Simon Says,” “Red Light, Green Light” — these types of mimicking games are great because they’re nonverbal, physically active, and require periodically inhibiting a response, which is an area of difficulty for children with behavioral and learning disabilities. This game entails paying close attention and draws on social cues, as well as concentration. While we live in a society of technology, it is important for parents to use summertime as an opportunity to get their kids outdoors and away from technology, remembering that physical activity is vital to the support of a healthy, balanced brain. Research suggests that moderate aerobic exercise may offer a new treatment option for children with attention deficit/hyperactivity disorder (ADHD). Writing in the Journal of Pediatrics, Matthew Pontifex (University of Illinois at Urbana-Champaign, USA) and colleagues report that a single 20-minute moderate aerobic exercise session resulted in significant improvements in attention and academic performance in children with and without ADHD, compared with a similar period spent sitting and reading. In addition, children with ADHD were more aware that they were making errors in the tests after exercise than reading. Pontifex and team recruited 20 children with ADHD and 20 controls without ADHD, all aged between 9 and 10 years. The children were asked to complete an attentional-control task (modified version of Eriksen flanker task requiring participants to press right or left button when indicated on screen) after two 20-minute periods of sitting and reading or exercise on a motorized treadmill at 65-75% of maximal heart rate. The children wore scalp electrodes during the test to allow the researchers to carry out electroencephalography (EEG) and obtain event-related brain potentials. The participants also completed the Wide Range Achievement Test (WRAT) to assess their reading, spelling, and arithmetic performance after both 20-minute periods. The overall response accuracy of the children with ADHD on the attentional-control task was lower than that of the control children, at 81.8% versus 88.8%. However, both groups had significantly improved response accuracy following exercise compared with following reading, at a combined group average of 87.1% versus 83.5%. Both groups of children also showed significantly greater improvements in reading comprehension and arithmetic on the WRAT following exercise than following the reading condition, at combined averages of 115.2 versus 110.1 and 112.5 versus 110.0, respectively. Children with ADHD displayed greater post-error slowing on the attentional-control test after exercise than reading, at 579.4 versus 500.3 ms. They also had a greater error-related negativity after exercise than reading on EEG. Both outcomes indicate an improved awareness of error making. “Given that previous research has found that children with ADHD are less likely to participate in vigorous physical activity and organized sports compared with children without ADHD, our findings suggest that motivating children with ADHD to be physically active may have positive affects on aspects of neurocognitive function and inhibitory control,” conclude the authors. A few minutes of exercise can help children with attention deficit hyperactivity disorder (ADHD) perform better academically, according to a new study. Led by a researcher at Michigan State University, the study shows that a single bout of exercise can help kids with ADHD drown out distractions and focus on a task. “This provides some very early evidence that exercise might be a tool in our non-pharmaceutical treatment of ADHD,” said Matthew Pontifex, Ph.D., MSU assistant professor of kinesiology, who led the study, which was published in the Journal of Pediatrics. For the study, Pontifex and his colleagues asked 40 children aged 8 to 10, half of whom had ADHD, to spend 20 minutes either walking briskly on a treadmill or reading while seated. The children then took a brief reading comprehension and math exam similar to longer standardized tests. They also played a computer game in which they had to ignore visual stimuli to determine which direction a cartoon fish was swimming. The results showed all of the children performed better on both tests after exercising. In the computer game, those with ADHD also were better able to slow down after making an error to avoid repeat mistakes, a particular challenge for those with the disorder, according to the researcher. Pontifex said the findings support calls for more physical activity during the school day. Other researchers have found that children with ADHD are less likely to be physically active or play organized sports. Meanwhile, many schools have cut recess and physical education programs in response to shrinking budgets. Pontifex conducted the study for his doctoral dissertation at the University of Illinois before joining the MSU faculty.